Get inspiration on your Smitten look. Maya looking lovely as always in her Smitten Charcoal Wave Top and Short Tube Skirt! Michelle looking stylish while keeping cool in Venice in her Floral Boat Neck Maxi Dress. The kids in their Smitten Beanies on a cycling holiday through France! Anita from Long Beach Medical is a long time Smitten fan. Therese keeping warm on a chilly morning in the red centre (Zip Neck Top - 220g). Michelle keeping cool and looking fab exploring the streets of Cairo, Egypt. Barry rocking a Smitten Zip Neck Top in the Rocky Mountains, Canada! It may look cold, but Barry is warm! Deep in the Rocky Mountains, Canada. Mim on Everest! Keeping warm when minus 20 deg C in her Smitten Merino! Our lucky competition winner Fiona showing off her Smitten outfit! Fiona looking fab in her new Smitten. Ruffle Swing Dress and matching Headband! Sharon layering Smitten thermals; Zip Neck Top over a Crew Tee. 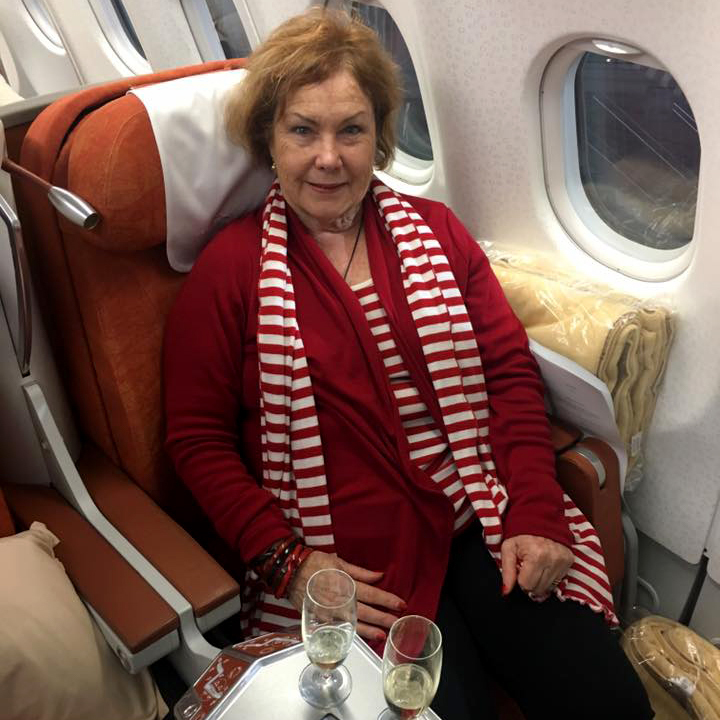 Smitten fan Bev flying in style! Drape Cardi plus matching Scarf and Scoop Top! Our Flame Milly Dress is a winner for that sophisticated evening out. 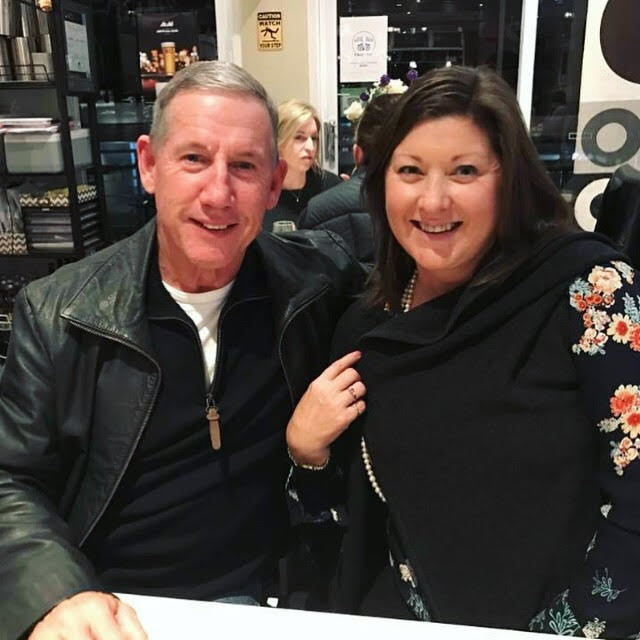 Bill in his Chunky Zip Neck and Pam in her Smitten Sleeveless Wrap. Both looking fab! Keeping warm on the water, wrapped in a Smitten scarf and mittens! A very happy customer visiting our new Boutique in Battery Point, Tasmania! Lizzie in Venice looking very chic in her Orange Multi Oversized Poncho. Catherine showing off her fantastic Black Multi Stripe Scarf. Happy customers showing off their new lightweight beanies and headbands. Davina partying in style - Black Audrey Dress and winter sunshine. This Dutch couple fell in love with Smitten scarves when visiting Tasmania. Michelle in her beautiful Soft Floral patterned Fleur Dress. Gabrielle loves her Smitten! Check out those fab Black Keyhole Leggings too! Gabrielle showing off her lovely Dark Inca Boat Neck Maxi Dress. The PERFECT gift for your bub. A merino baby wrap and beanie set! Senator Helen Polley keeping warm in her Stone Poncho! Susan Robinson and a cheeky photo bomber in the corner! Susan keeping cool and protected from the sun in her Smitten cardi. Susan loves her Smitten! Exploring Melbourne's sights! 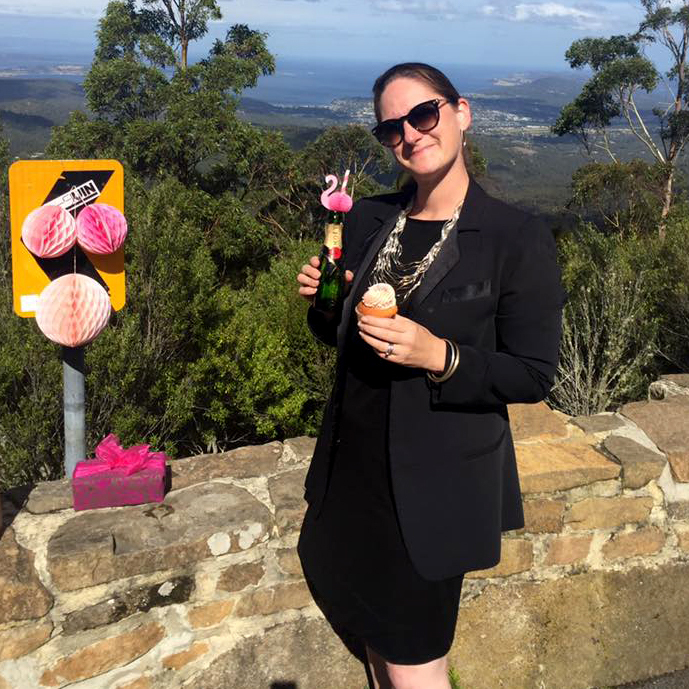 Always out and about in Smitten, Susan knows Merino Wool is best! Cardigans are made to be layered. Colourful and stylish. Susan flying the Smitten flag! Never without one of her Merino Wool scarves! 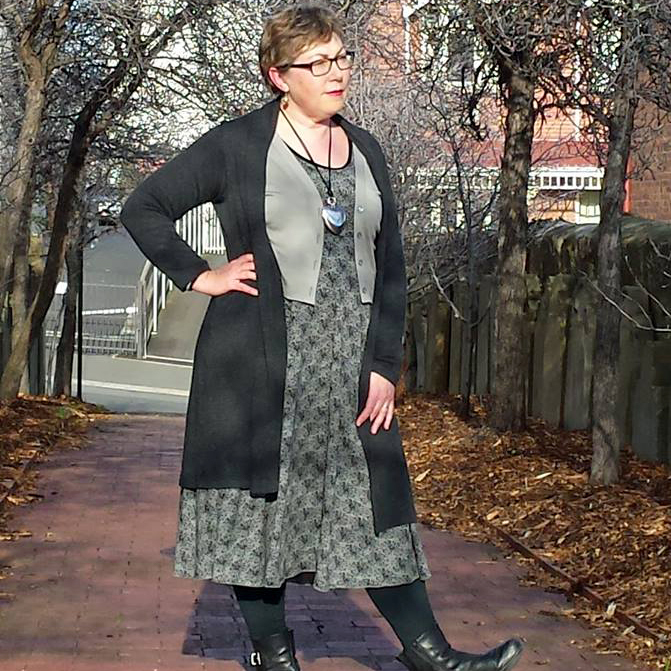 Jennifer layering Smitten cardigans over the Dandelion Fan Dress. Mei Ling in her lovely Black Multi Stripe Classic Poncho. Michele modelling our Jackie Dress and Stone Ruffle Cardigan. Racing the trails and keeping cool in his Smitten Crew Tee! Samantha layering up her Smitten while on holiday in Paris. 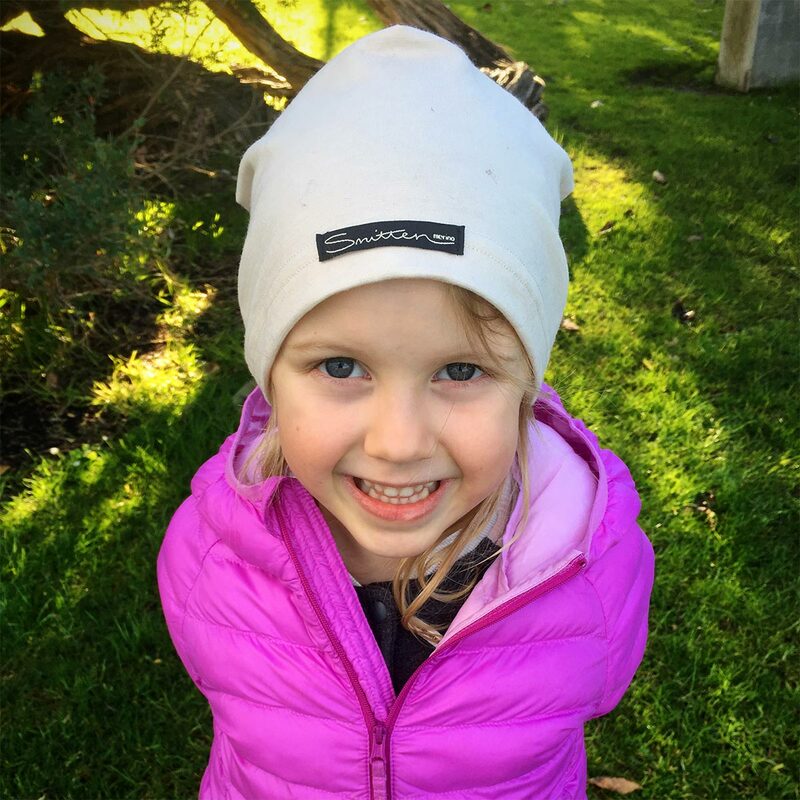 Six year old Rania absolutely loves her new stone beanie! Our range of colourful baby beanies make fantastic gifts! Catriona Rowntree loving the Orange Multi Stripe Scarf, with Nicola and Holly. Have you seen out Chunky Knit Cowl Neck Poncho? Our market customers love them! Two more happy Smitten customers. We have a huge range of multi-stripe scarves. Stylish in Singapore - our lovely Smitten fans are spread across the globe! Did you know we also do baby blankets? The perfect gift for any new mother! Flame Wave Top, Stone Drape Cardigan, multi-stripe Scarf. New outfit sorted!